The Inland Empire Waterways Association and other interested groups will carry their campaign for Ice Harbor Dam directly to the President if necessary, Herbert G. West of Walla Walla, executive secretary of the IEWA, told the Tribune. The Associated Press reported that a budget revision has apparently eliminated funds for construction of Ice Harbor Dam on the Snake River below Lewiston and reduced construction funds for The Dalles Dam on the Columbia River. West was reached at Walla Walla. He returned home from Washington, D.C., where he has been keeping in touch with budget affairs on behalf of the IEWA. He said there has been no definite elimination of the funds yet and that no official decision has been announced. But he noted that President Eisenhower "has directed all of the people to take a look-see at projects which are 20 percent or less completed and at new starts." In the Pacific Northwest that would involve the Palisades Dam, Ice Harbor Dam and The Dalles Dam. 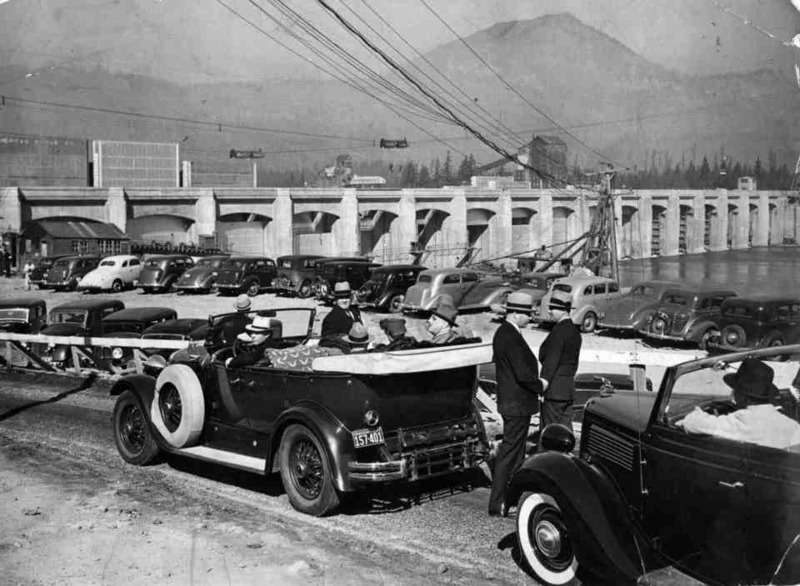 West said he understood that the Interior Department and Army Corps of Engineers has recommended funds for Ice Harbor Dam and the continuation of The Dalles Dam on schedule, but that the Defense Department wished to cut The Dalles back from $58,400,000 to about $21 million next year and delay beginning of construction of Ice Harbor. He said Interior Secretary Douglas McKay strongly favors construction of Ice Harbor Dam but that issue now must be determined by the President himself. "It has reached the top level now and is out of the cabinet's hands," West said. Ice Harbor Dam would generate power for the Hanford atomic works and the Northwest Power Pool, form a unit in the flood control system of the Columbia Basin, and provide one link in a series of dams which would provide water navigation from Lewiston to the Pacific Ocean.